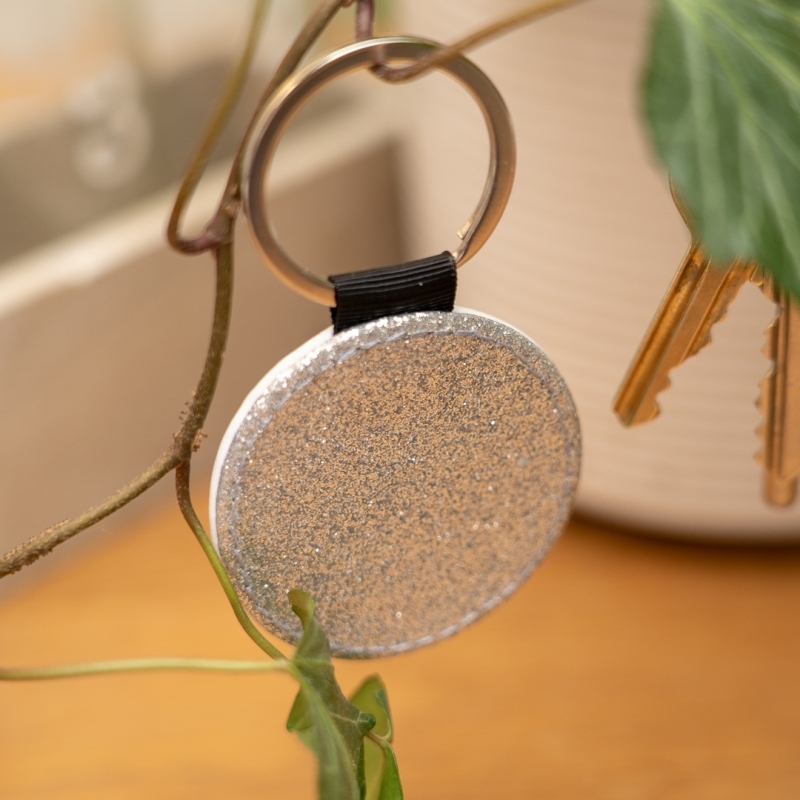 Your keys won't get lost with this stylish and beautifully made glitter keyring! 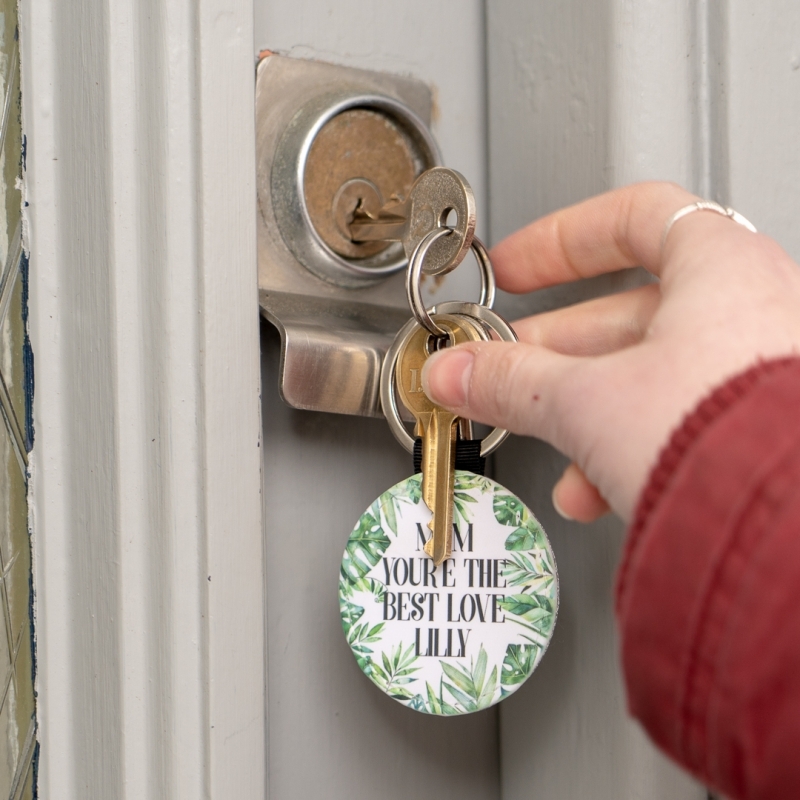 Personalise with a loving message. 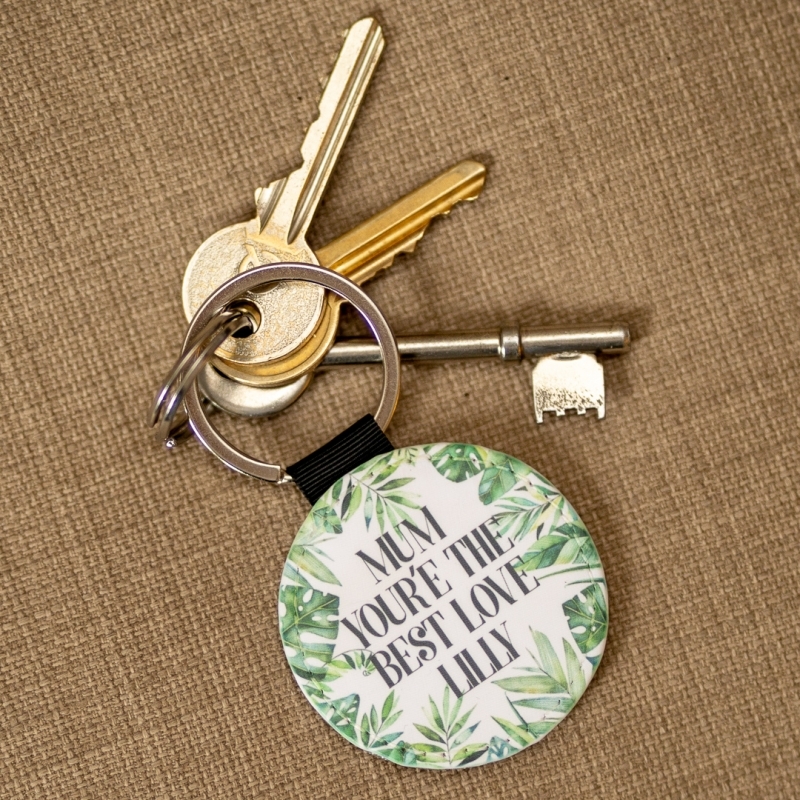 This super keyring is made from PU Imitation faux leather making it a truly beautiful item. 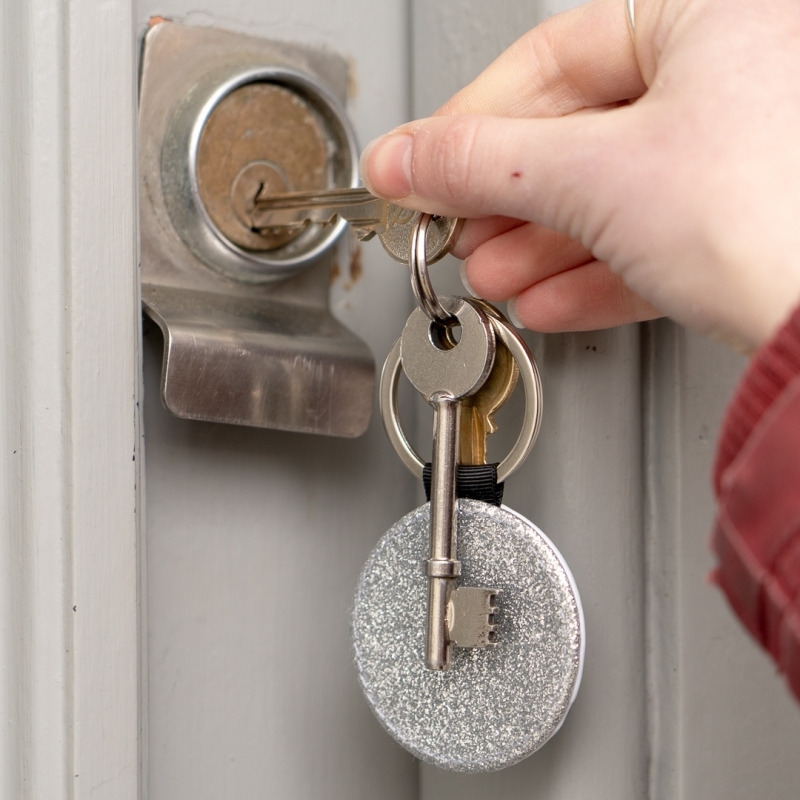 See your keyring sparkle as you open the door (and never loose your keys at the bottom of your bag!). 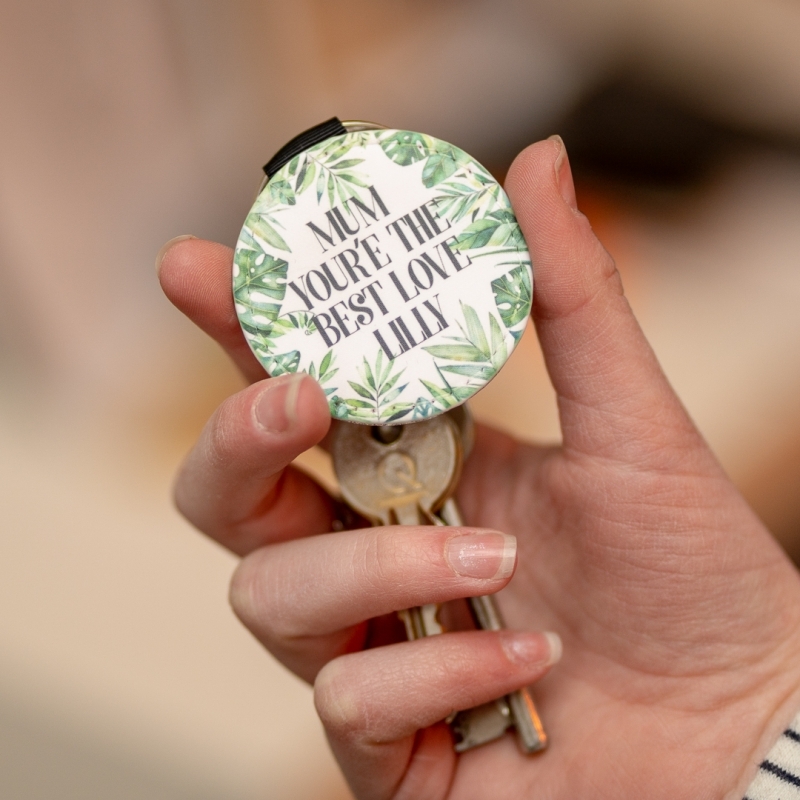 This keyring makes the perfect gift for Birthdays, Anniversaries, Christmas, New Home, Mothers and Fathers Day or just to make someone feel special! 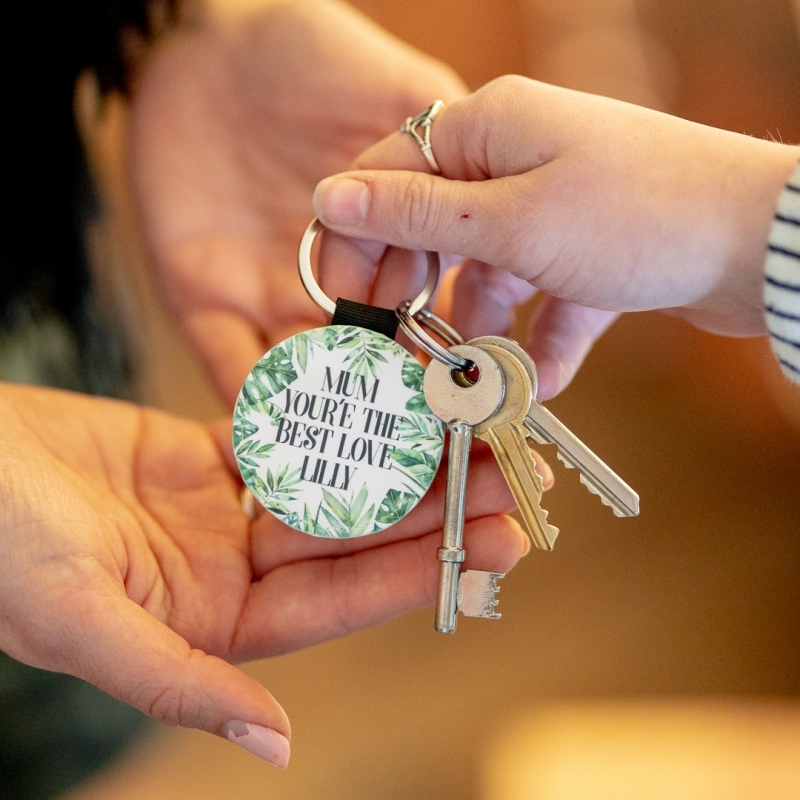 Why not opt to include gift wrapping? 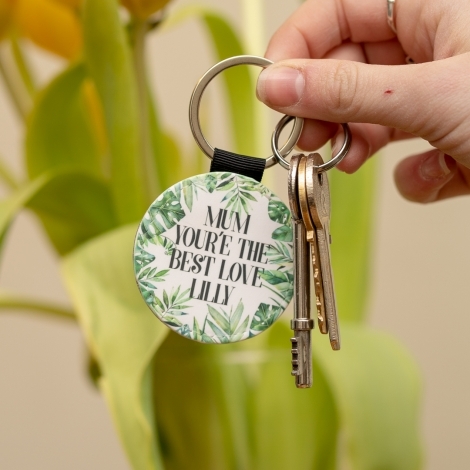 We will send your parcel in one of our reusable canvas gift bags so the keyring will arrive looking beautiful and ready for the giftee. 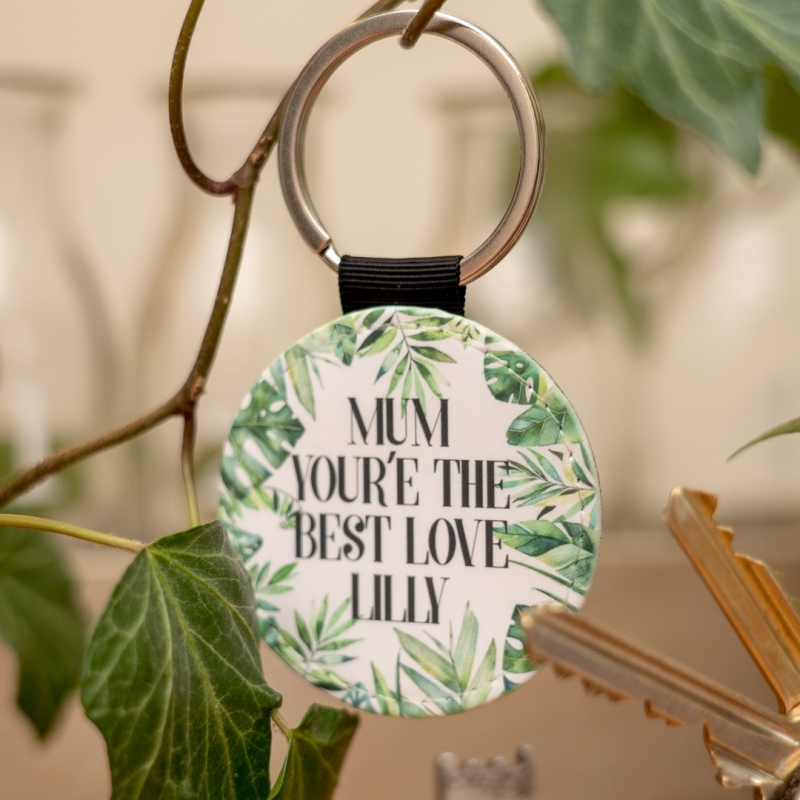 For more gorgeous and completely unique, personalised gifts, please see the rest of our fab collection.